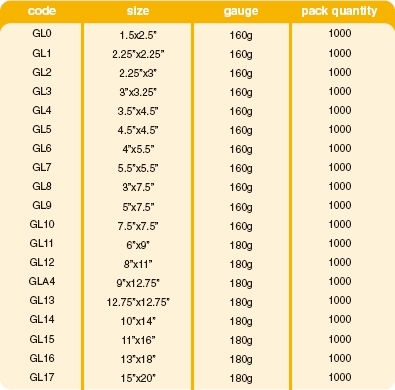 Why buy Polythene from contact packaging? 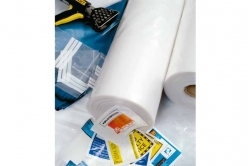 Supplied on rolls to suit your own requirements in a vast range of sizes and thicknesses. Available in virgin form for shrink systems or food use, regran for a cost effective wrap for textiles, coloured tints or fully opaque and printed. 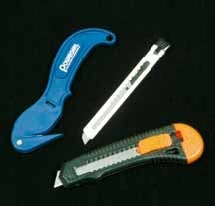 A flat tube is perfect for wrapping long items, such as piping or rolls of fabric. 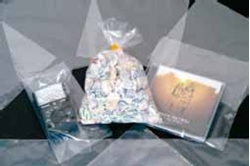 Ideal for producing your own polythene bags when used in conjunction with a heat sealer. A flat sheet that can be used for wrapping or as a protective cover. Similar to single wound, but the sheet is folded in half, making it easy to slide products into and making wider widths more manageable. Supplied perforated on the roll for use in conjunction with stretch film to ensure your pallets are protected from rain and dirt. 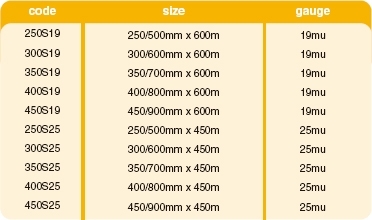 1830mm x 1830mm 40mu & 1700 x 1500mm 30mu are available from stock. When used with a shrink gun (see image 2) pallet covers offer a better presentation than stretch film. 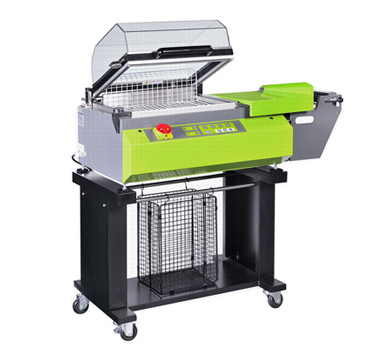 They also hold the product very securely and thus are ideal for heavy pallets, such as building materials or engineering equipment. These powerful guns (62kW) offer high performance as well as a safety trigger and stay cool nozzle. Supplied complete with hose, valves & regulators in a metal case. 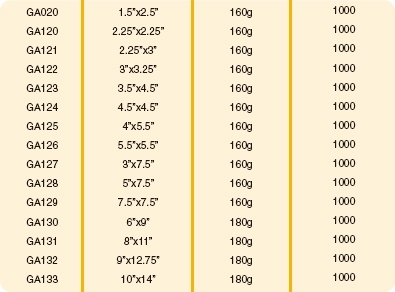 18x29x39” Available from stock in a variety of qualities. 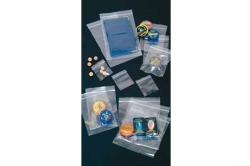 A medium weight polythene bag produced with a clip close strip that can be used over & over again. Also available printed with company logos, etc. GA code includes Write on panels. 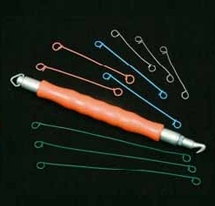 Heavy weight grip seals give that extra strength that is required for nuts & bolts, etc. 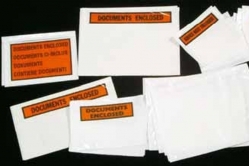 Self adhesive polythene envelopes for the attachment of delivery notes, invoices or packing lists to parcels & pallets when despatched. Standard prints available include: advice note enclosed & packing list enclosed. Bespoke Printed available in up to 3 colours (minimum quantities apply). Supplied in centre fold rolls (i.e. 300mm wide roll opens out to 600mm wide), PVC film offers good strength, high clarity and a gloss finish.